The trail marks a significant development in the maintenance of Woodchuck Lodge, as this new trail is actually part of a partially restored footpath that was developed by Dr. John Lutz, great grand nephew of John Burroughs and founder of Woodchuck Lodge, Inc, winding up into the hill behind the woodshed. We cleared blow-down, brushed back the undergrowth, improved the footing and constructed an inviting stone staircase at the base that reflects the era of creativity, simplicity and permanence reminiscent of John Burroughs, the naturalist, returning the path to its glory days. This beautiful, new trail will open up the property to visitors, allowing them to appreciate so much more of our vital, much-valued historic landmark. Walk in the footsteps of the great naturalist writer John Burroughs, who was credited with giving this wild flower its name. Burroughs wrote in Riverby: “A fawn is spotted, too, and ‘fawn-lily’ would be better than adder’s-tongue. Still better is the name ‘trout-lily,’ which has recently been proposed for this plant. It blooms along the trout streams, and its leaf is as mottled as a trout’s back’. The Board applied for – and received – a Delaware County Tourism Grant to help pay for the trail and new signage was installed shortly thereafter. Overseen by Patti Rudge, the construction of the trail was made possible with the help of volunteers who helped to put the stones in place and clear the brush, among other tasks. The trail is modest and gentle, suitable for young and old alike, running through a small forested area, into the meadow and opening up into spectacular views of Delaware County, the kind of views that Burroughs himself enjoyed one hundred years ago, when the area was rolling meadow and farmland. Special thanks to Clark Van Etten, who quarried and delivered the rock, Roxbury High School youth, Cobleskill College interns, Minekill State Park seasonal employees and a cast of strong, local women, who lent their energy, humor and enthusiasm to the project proving that with a collective understanding of rudimentary physics, the power of cookies and LOTS of communication, nearly any rock can be moved! 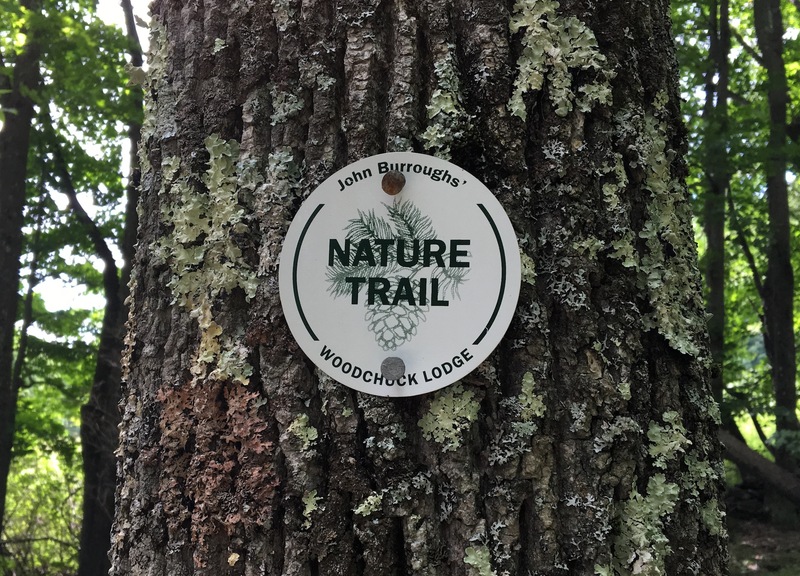 Woodchuck Lodge Inc. is a nonprofit organization dedicated to preserving the historic Lodge and to promoting the ideas and legacy of John Burroughs through events and activities that encourage people to live, work and prosper in harmony with nature. The Board of Trustees is made up of historians, writers, educators, business people, and communications and legal professionals committed to sharing appreciation and respect for John Burroughs’ life and work. John Burroughs, a celebrated writer and naturalist, whose 27 books of nature and philosophical essays influenced millions of readers, was born April 3, 1837. Woodchuck Lodge is a registered National Historic Landmark. 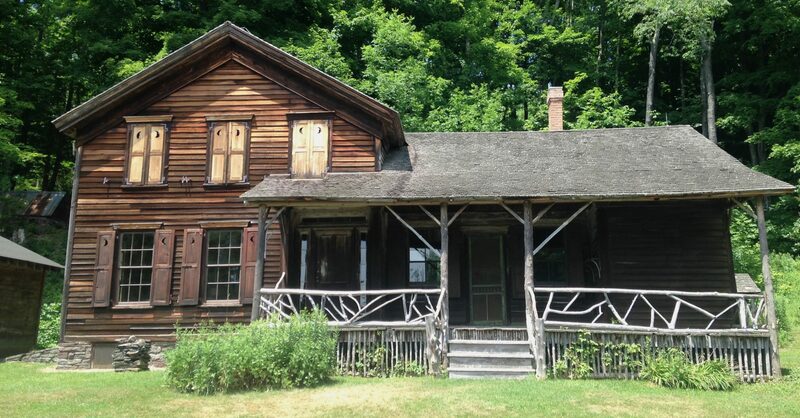 From 1910 to 1921, it was the summer home of John Burroughs. The Lodge was built in the early 1860s by Burroughs’ older brother Curtis on Burroughs homestead land where the naturalist was born and raised. The New York Times devoted most of its front page to his obituary. The funeral was attended by a crowd of farm neighbors and celebrities. 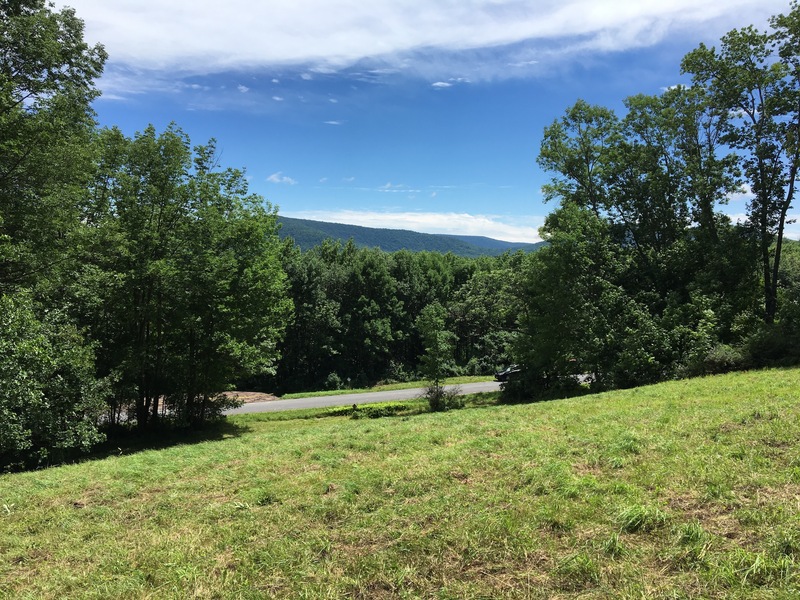 And then, on his 84th birthday, he was buried in what is now John Burroughs Memorial Field, a state historic site just up the road from Woodchuck Lodge and within a mile of the farmstead where he was raised.